Fresh and comfortable 2 bedroom flat well located between Crosshill and Mount Florida on Glasgow's southside. This property is immaculate internally and has been recently redecorated throughout - it feels really fresh and clean throughout. The property is located on the 5th floor of this maintainned building with an on site concierge service - there is a lift, secure entry, communal grounds, communal covered drying area on the top floor. The flat itself has entrance hallway, 2 good sized double bedrooms, large storage cupboard with clothes rail and shelving, further storage cupboard, bathroom with shower over bath, spacious and bright living room which opens into the kitchen area. The living space is really open and flows well, with great views over the city. 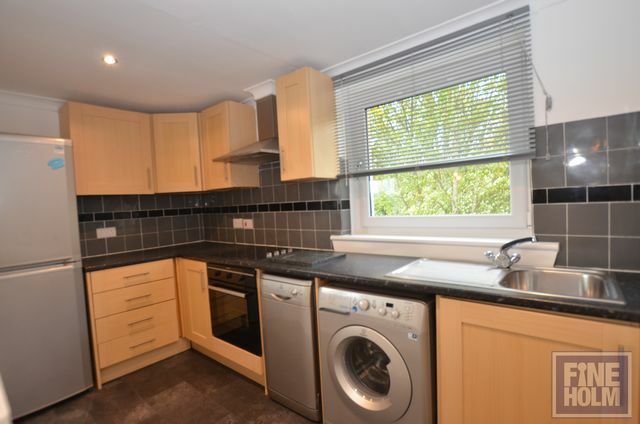 The kitchen offers fridge/freezer, dishwasher and washing machine.